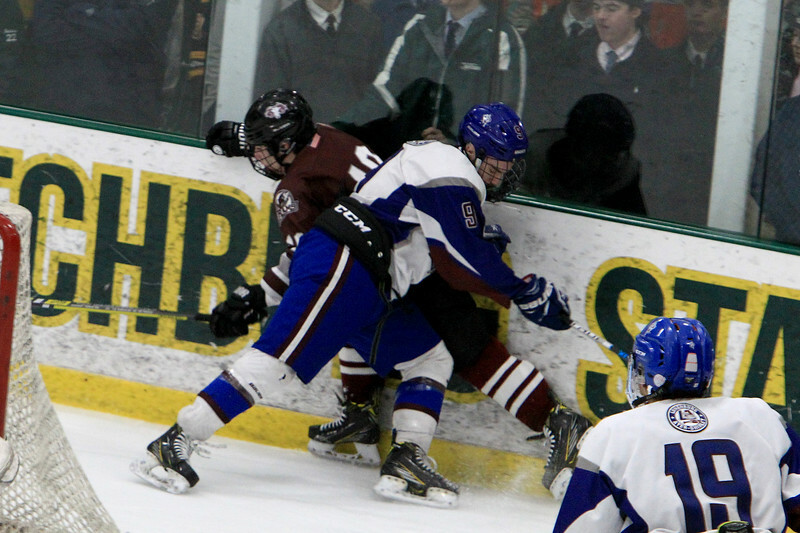 Lunenburg/Ayer Shirley's Connor Viviano checks a Northbridge player into the boards during the Central Mass. Division 3A championship game at the Wallace Civic Center in Fitchburg on Sunday, March 10, 2019. Northbridge won, 2-1 in overtime.